Custom Mattress Height (Required) -- Please Select --4"5"6"7"8"9"10"11"12"13"14"15"
Custom Mattress Length (Required) -- Please Select --54"55"56"57"58"59"60"61"62"63"64"65"66"67"68"69"70"71"72"73"74"75"76"77"78"79"80"81"82"83"84"85"86"87"88"89"90"91"92"93"94"95"96"97"98"99"100"101"102"103"104"105"106"107"108"109"110"111"112"113"114"115"116"117"118"119"120"
Custom Mattress Width (Required) -- Please Select --24"25"26"27"28"29"30"31"32"33"34"35"36"37"38"39"40"41"42"43"44"45"46"47"48"49"50"51"52"53"54"55"56"57"58"59"60"61"62"63"64"65"66"67"68"69"70"71"72"73"74"75"76"77"78"79"80"81"82"83"84"85"86"87"88"89"90"91"92"93"94"95"96"97"98"99"100"101"102"103"104"105"106"107"108"109"110"111"112"113"114"115"116"117"118"119"120"
Custom size Memory Foam Mattresses are one of the most popular Custom size Mattresses even though we handcraft natural mattresses in Custom Size too. 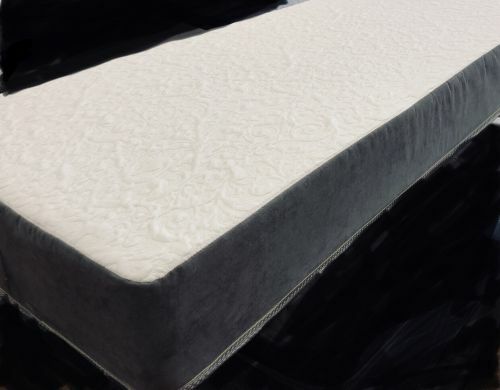 These Custom Memory Foam Mattresses come in a variety of densities (firmness) in order to meet your comfort needs. Whatever firmness or size and shape you like, we can accomodate. Order yours today either online or call ua at 800-761-1100 and we will be happy to assist you.